At our wedding, friends assured my husband and me that we would create good- looking kids. And we believed them. It's that cloning fantasy: that our future children would be miniature versions of ourselves, inheriting only our favorite features. Not only did I picture a child with my green eyes and his olive skin and thick, black hair; I also assumed she'd have a winning personality and intellect to boot. My dreams left out the combined product of our worst features: big nose, freckles, a long second toe, and a proclivity toward constipation. So many of our dreams (and fears) got shattered along the way: all that talk about how pretty our kids would be... and it turns out we couldn't even have any. Once we started seriously considering adoption, I wondered if I could feel like a mother to a child who didn't resemble me or my husband. Much as we all like to think of ourselves as consumed with thoughts more lofty than the issue of appearances, looks play into the emotional process before and after an adoption takes place. Adoption is like a blind date in some ways...a permanent one. Early in the process, both birth parent and child are faceless to potential adoptive parents. Adoptive parents worry that their child will be either ugly, or a dud, or both. They care about looks not because they are hopelessly superficial, but because would-be parents desperately want to fall in love with the stranger who will become their child. 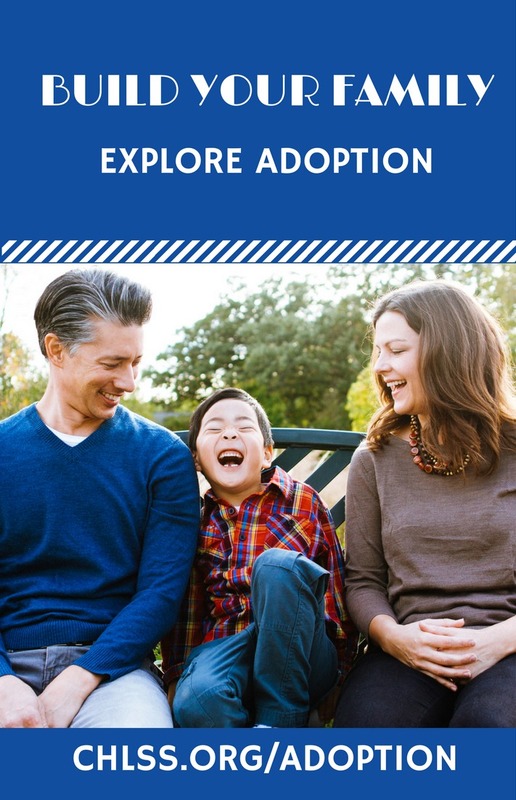 Parents who choose transracial adoption are willing to become part of an unmatched set, but this does not imply that they have disengaged from the issues of appearance. Once adoptive parents have made the tough decision that they could parent a child of a race different from their own, they've got a more brutal decision to make-this one so distasteful, it's often avoided - a shameless discussion about skin pigmentation: how dark is too dark? Many who cross the color line are willing to do so on a continuum of palatability that often reveals an unspoken yet unconscionable preference for yellow over brown, for brown over black, for light over dark. So even within a transracial adoption, it seems as if we try to minimize the differences between ourselves and our children. There are many more Asian than African babies adopted by Caucasian parents, as if the yellow-white combination is less transracial than the black-white one. Some of us involved in transracial adoption think of ourselves as somehow superior in the discrimination department, but we demonstrate our colorism by preferring brown children (whether Latino, African American, or mixed race) with European features that look familiar to us, over Black children, who share none of our physical attributes. Bizarre as it sounds, White parents of non-White kids remain wishful about family resemblances. That opposites attract seems to apply more to personality than appearance. Lots of couples share physical attributes; some even look alike. Blondes gravitate to blondes and brunettes gravitate to brunettes. Does the wish for transracial matching follow a similar dynamic-where like seeks like-or is it outright racism? I felt like a bigot when I first laid eyes on my son. "He's so dark," I thought, and felt ashamed for thinking it. My racist gut reaction was fueled by gut fear. I was pretty sure I had taken on more than I could handle. Adoption of a White kid would have been enough of a stretch, but we had to go for a baby that not only came out of someone else's body but out of someone else's culture. What were we thinking? What kind of pseudo-Peace Corps types were we pretending to be? All I could think of was that we were too White to be the parents of someone this Black. Since that unfathomable start, our lives, as members of an transracial family, have grown to feel exactly right. Though no one will mistake the boy sitting next to me as my offspring, he certain feels like my son. A brown child has become familial, so brown children are now familiar. Pink kids look bland to me in comparison to some of the beautiful mixtures we see in children of color, both adopted and not. Is it possible that mixed-race children, like our son, are more beautiful than the population at large? Or does it just seem that way? There may be some kind of reverse preference that occurs in transracial families, but it is not very different from the earlier preference described for brunettes by brunettes. If we perceive our family as a beautiful blend, we see the beauty in others' blends. Or, put more simply, we are attracted to ourselves. In the first stages of being a family created by transracial adoption, we were aware of how different from our son we looked. As time has gone on and the emotional cement of family has become hardened, we feel unified as a mixed family (even though the world does not always see us as belonging together). Looking nothing like my child is cause for questions and looks, but holds no charge as a threat. We are family. Having said that, it is also true that we take great delight as we encounter the ways we resemble one another. When people say that my son and I have the same smile, my smile gets even bigger. Even though I was a closet pro-cloner when I first got married, custom designing the image of my offspring, I ended up with a child who is much more beautiful than the one that his father and I would have made. 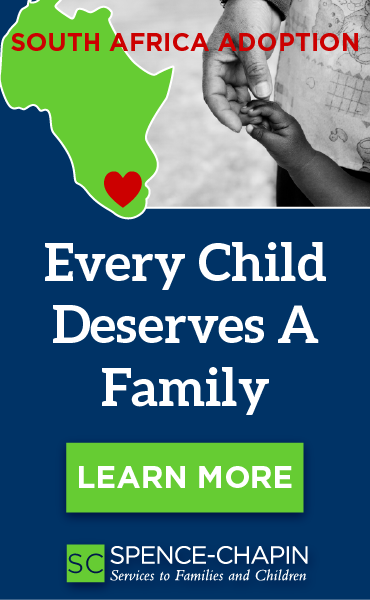 When I think back to my pre-adoption fears - "Could I love a kid who doesn't look like me or us?" and "What if he or she is ugly?" - I know the answers now. I know for certain that you can love a child who doesn't match and that that child will be nothing short of beautiful to you. I also know that you will sometimes forget that you don't look alike. 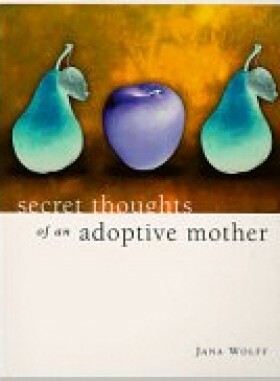 Jana Wolff is the author of Secret Thoughts of an Adoptive Mother , (now available in paperback). She lives with her family in Honolulu, Hawaii.